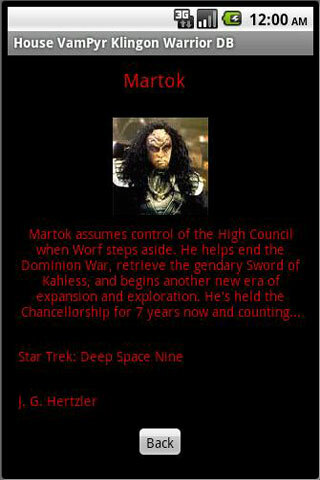 This is a Klingon Warrior Database brought to you by House VamPyr. It contains over 90 known Klingon Warriors. 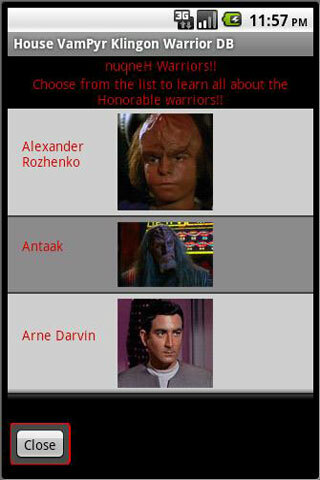 If you find any missing please go to http://www.randomandroidapps.com/ and let us know and we will add any missing Klingon Warriors. This app needs you to make it better. You are currently browsing the Random Android Apps weblog archives for October, 2010.